WE OFFER LESSONS AND TESTS OUTSIDE OF THE OFFICE HOURS POSTED BELOW. PLEASE CALL FOR OUR FULL SCHEDULE. Drivers’ Education taught by Police Officers! 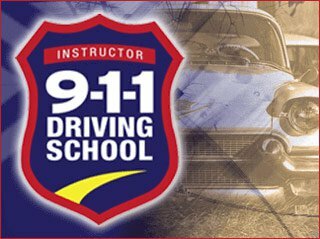 911 Driving School of Bothell is owned and operated by two retired Bothell police officers who have over 35+ years of experience in law enforcement. We teach today’s teens and adults how to become tomorrow’s safest drivers, making the roadways a safer place for everyone. ONLY a law enforcement instructor here at 911 can provide such a vast amount of knowledge, trust, experience and hundreds of real-life stories, making this the finest Drivers’ Ed program in the nation! The office will be closed Sunday, April 21st for Easter Sunday. Drive tests and lessons will proceed as scheduled. Please sign up here first, then walk in anytime during our listed walk-in hours. We have Honda Fits and Nissan Versas. You do not need your own insurance to use our cars. The WA State knowledge test must be passed before a Road Test can be provided. We can provide you with a temporary permit to take the test if you do not have a WA permit or license from another country.